Ich habe ihn zweimal vom Frankfurter Flughafen abgeholt und einige unvergessliche Gespräche mit ihm gehabt (siehe hier). 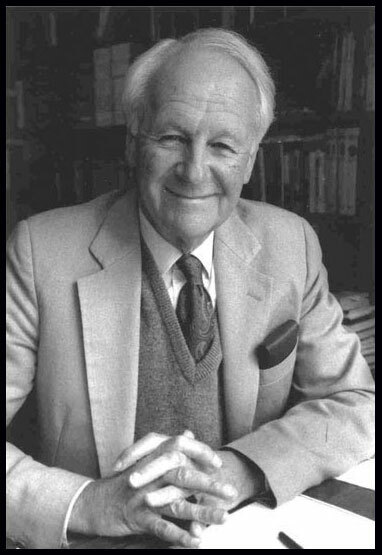 Nun ist John Stott bei seinem Herrn. Auch wenn ich ihm nicht in allen Punkten folgen konnte und kann, war und bleibt er für mich ein großes Vorbild. As a typical adolescent, I was aware of two things about myself, though doubtless I could not have articulated them in these terms then. First, if there was a God, I was estranged from him. I tried to find him, but he seemed to be enveloped in a fog I could not penetrate. Secondly, I was defeated. I knew the kind of person I was, and also the kind of person I longed to be. Between the ideal and the reality there was a great gulf fixed. I had high ideals but a weak will. . . . [W]hat brought me to Christ was this sense of defeat and of estrangement, and the astonishing news that the historic Christ offered to meet the very needs of which I was conscious. Nachtrag vom 29.07.2011: Was denken bekannte amerikanische Persönlichkeiten über J. Stott. Ein großer bewundernswerter Gottesmann ist nun in seiner Heimat angekommen. Was bleibt ist ein nachahmenswertes Vorbild für junge Christen und sein beachtliches literarisches Werk! Thank you Lord For Your Faithful Servant.